Ships bare steel, ready to paint with the coating and color of your choice. 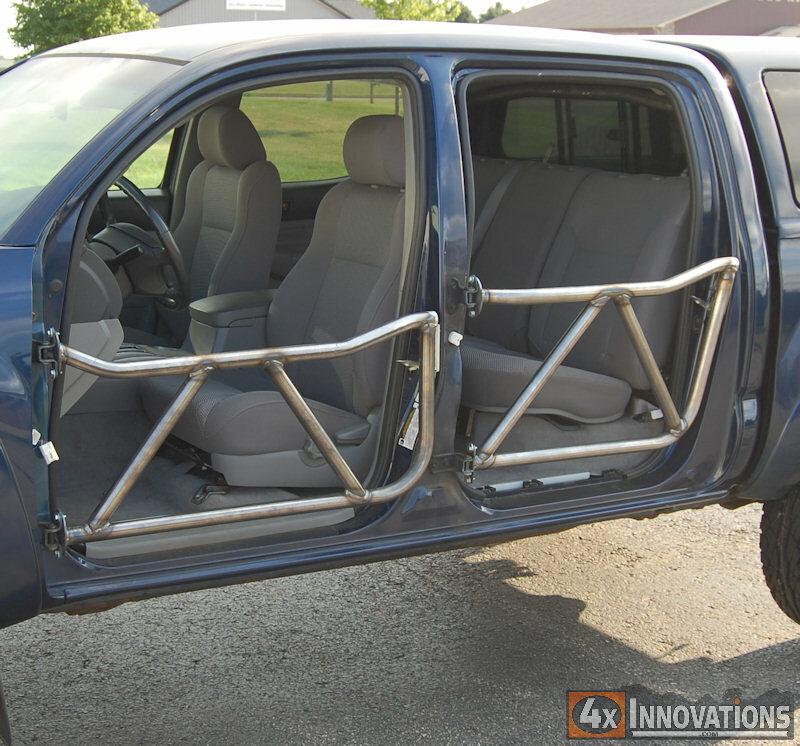 Open air flow and clear vision are the main principles behind our Toyota tube doors. These doors are made from 1.5x.120 HREW tubing and provide several benefits over stock sheet metal doors. 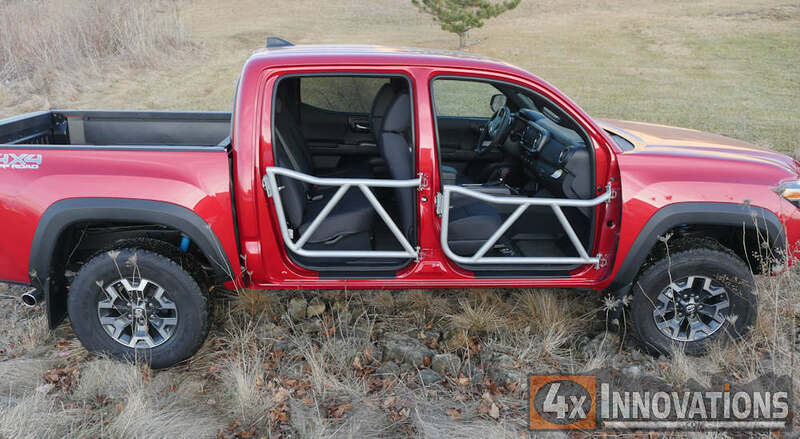 To start out you will gain an amazingly open field of vision to the front, side, and back of your truck. Leaning out is no longer necessary while running tube doors. Angled cross bracing adds strength and cab intrusion protection. 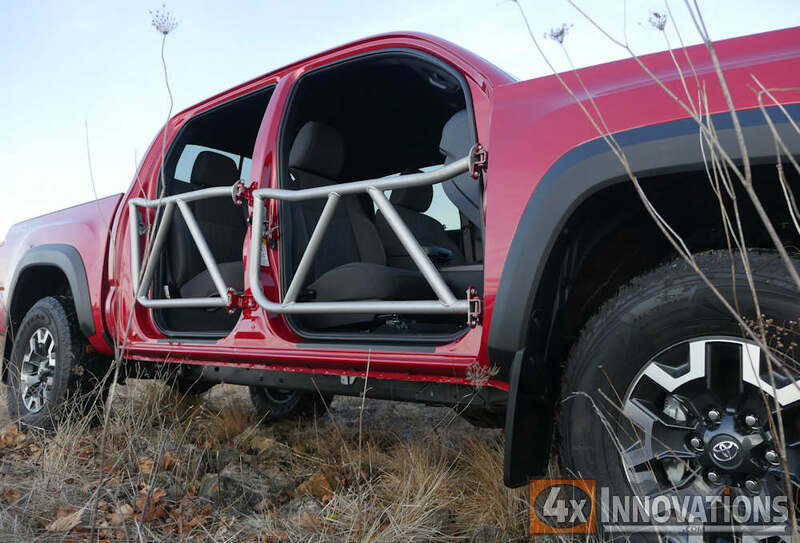 Additionally, at a mere 19 lbs each, weight savings is another large plus with these doors. This kickout style door has a 1.75" bump outward along the top tube, making the top of the door stick even with the body. Door sets come as a complete pair of driver and passenger doors and include new custom manufactured rotary catch slam latches! These rotary catch latches are the only safe automotive style latches available that work with your factory striker, no need to change the striker pin to run these great new latches! The catch on our rotary latch is also rubberized for a rattle free catch and latch. 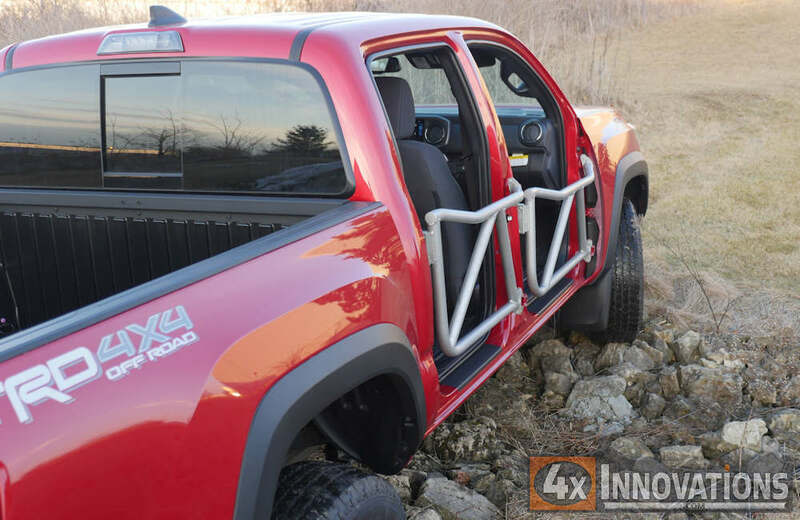 Enjoy wheeling in luxury with a pair of 4x Innovations tube doors by ordering yours today!